Joined on April 25th 2015, last online on 12 February 2019. Reset era. It's the replacement for NeoGAF but run by way better mods. Not sure if you'll see this or if you'll reply, but do you know anything more about how the PS4 and XBO have performed in China? Hope you'll see this comment. I write on VGChartz cause i noted that you have a lot of work on Twitter (i understand that almost 17k followers are a lot), so maybe should be more easier here. 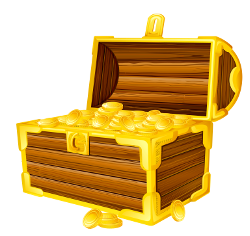 I just open a blog, and i'm going to write news about videogames market and more. Anyway, in my last thread, about COD IW, i mentioned you and posted your graph. Why did Gaf ban you? you seem to be a cool guy. I love your tweets, so I don't understand why you'd get banned. Are you the real ZhugeEX? Thanks for accepting my friend request. I am a big fans of yours. I always read your tweets! Give up the good work. The reason I post it is so people can have accurate info and share. I just saw all of that info and thought, "that's something that would be appreciated in VGC!" Hey Zhuge, done a bit of research and I've come to the conclusion that Uncharted 4 sold more Week 1 than The Last of Us and Uncharted 3 combined (>2.7 Million vs ~2.65 Million). I know I don't have even half as many sources at hand as you, so if you could confirm that for me or look into it yourself, I'd really appreciate it. TLOU has sold 3.4 million in 3 weeks. Uncharted 4 was probabily better, but no way it's bigger than TLOU+UC3 combined. Week 1 it did 1.3 million, the 3.4 was shipped after 3 weeks. 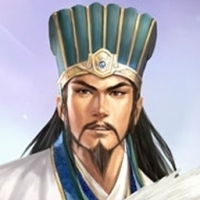 Hey Zhuge, just wanna tell you that for some reasons tweeter is down for me and i have lot of problem... it should surely be over in some days (i hope), but until that if you need to tell me something use VGChartz. Throwing this out there again - you're contributions to the site, I greatly appreciate! Came across an article you would probably find interesting. What do you think Ratchet & Clank can sell in China? What can even be considered as "good" numbers for a console game in China? Hard to say tbh. There just isn't enough info about the market out there to predict accurately. I know Driveclub sold around 20k in its first month or so there. Hey, thanks for accepting, I enjoy your posts. Hi there! I just wanted to say that i really appreciate all the work you do. I really like your posts since your early GAF days. Your posts are very informative and give some good insight about the whole industry. It's been a year since i stopped reading GAF but i continued following you on twitter and now i read your blog posts. Keep up the good work! Thanks very much. I really appreciate the kind words and appreciate that you find the stuff I post informative. I am sure you will. See ya around. Hey Zhuge, have you played RTK13 yet? Is it any good? How does it compare to Nobunaga Sphere of Influence? Appreciate the good work you do. Keep it up Zhuge!